Easter Sunday is a day for chocolate so last weekend I found a desert that had a good hit of dark chocolate and a luscious layer of caramel. This recipe is adapted very slightly from My Paris Kitchen, by David Lebovitz, this book is fast becoming one of my go to cook books, it is a pleasure to read and the recipes are great. The two changes I made were using Gluten Free flour for the base and using a tin of Carnation caramel sauce instead of Dulce De Leche. If you can get Dulce De Leche then please do as it is gorgeous when used in baking or simply spread on toast, it is good stuff. I did not have time to try speciality stores for it last Saturday so Carnation caramel sauce it was. This is a great desert if you have a crowd over for dinner as it is very rich so a wee sliver of a slice will do most people. If you can hang on to a piece it was even better the next day, enjoyed with a cold glass of wine while sitting out in this lovely weather we have been having. • After thirty minutes, unwrap the dough and press the dough in the tin using your hands. • Bake for 15 minutes and then remove the foil and beans and bake the shell for a further five minutes until the base feel set. I cup of Carnation caramel sauce, this is a thick sauce often used for banoffee pies. As it is so thick it will be easier to spread on the base if you place it in a bowl and stir to soften. 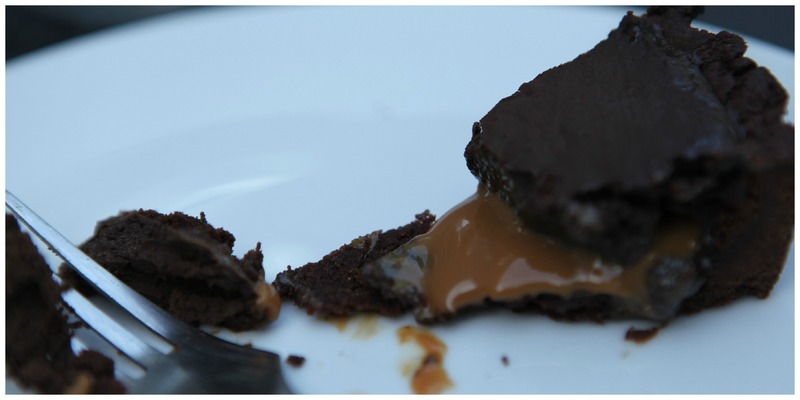 When the tart shell is baked, spoon the caramel sauce evenly over the base. 230 grams of semi -sweet dark chocolate, I used 70% when doing this again I might try 60% as this was a bit too dark for a few people. • Pour the egg milk mix back in to the pan and cook over a medium heat, stirring constantly until the mix is steamy and has thickened slightly. Do not let the mix boil. • Pour the custard in to the melted chocolate and add the vanilla, stir to combine. 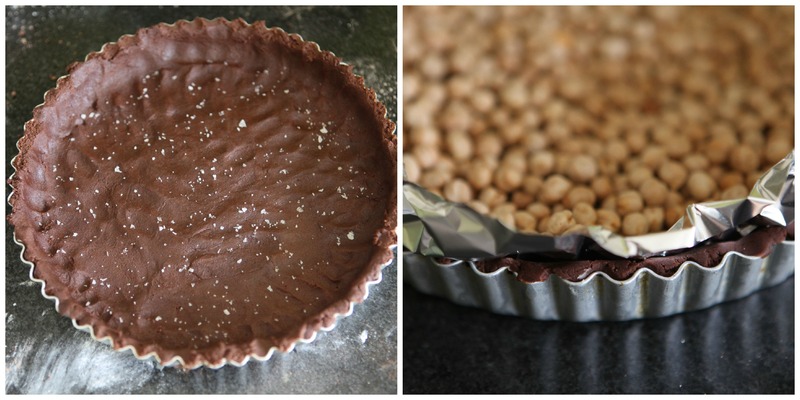 • Place the caramel filled tart shell on a baking sheet, this will make it easier to get in it in to the oven without spillage. 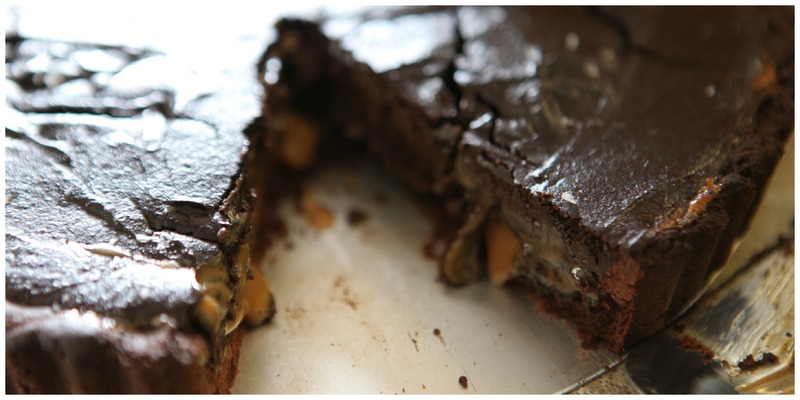 • Pour the chocolate custard evenly over the caramel layer and smooth out with a spatula if necessary. • Place the tart in the oven at the reduced temperature of 150 for 20 minutes and then turn off the heat and allow the tart to rest in the oven with the door closed for a further 25 minutes. Allow the tart to cool before serving, I loved it fully chilled the following day. Serve with whipped cream or vanilla ice cream. ← Let There Be Lips!